We may be heading towards the end of the month but there’s still time to bag yourself some awesome beauty treats from the Love Me Beauty Boutique. Now for those of you who aren’t familiar with Love Me Beauty, they’re a monthly beauty box brand that allows you to pick the products you want. Each month members receive 60 credits to buy full or travel sized products from the Boutique. You can also add on extra credit packages as well so you can treat yourself throughout the whole month. This month’s theme is the ‘Happily Everlasting Edit’, offering you beauty products that will last during the hot summer days and long summer nights. 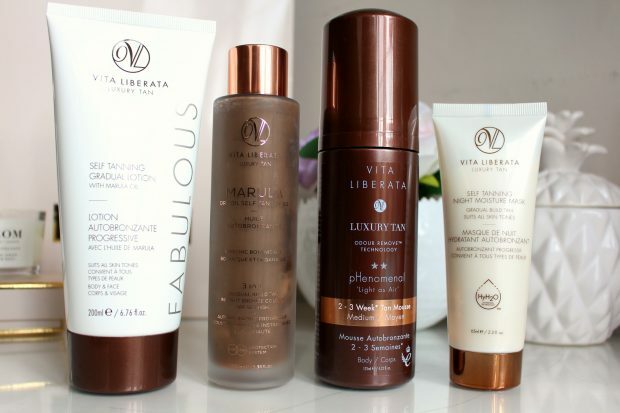 There are some great new arrivals in the Boutique from Vita Liberata and EcoTools as well as some old favourites from NUXE, Madara and Dr Lipp. 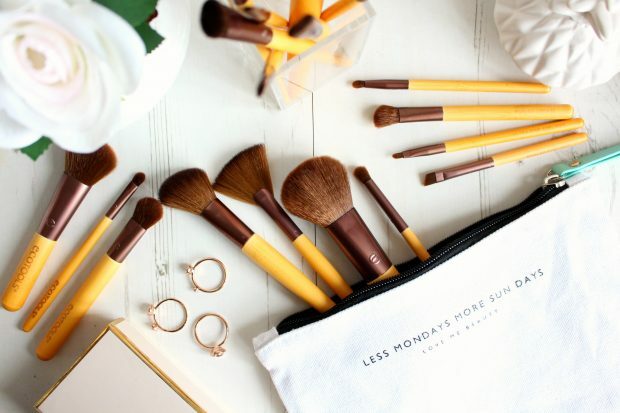 Plus you get the gorgeous ‘Less Mondays more Sun Days’ canvas makeup bag. As the world’s only self tan with SPF 50, this is a pretty impressive self tan oil. It has a subtle tint that gives you an instant colour boost and it doesn’t leave your skin streaky. It gives you a gradual tan for up to 10 days and as it’s buildable, you can keep using it until you get the right tan shade for you. This is a hydrating ant-age night mask that has a touch of fake tan to give you a subtle radiant glow. It feels just like a rich night cream but is also really lightweight on the skin. If you want a subtle sun kissed glow then this is the gradual tanner for you. You can use it on dry, sensitive or mature skin to enhance, hydrate, build or prolong a tan. It you want a more obvious tan, then you need to try this mousse. It develops over 4-8 hours but apparently lasts between two to three weeks! This is perfect for those of us who fail to tan naturally on holiday, or who want to look bronzed during their summer staycation. Next up are ecoTOOLS , one of my favourite high street brush brands. Not only are the brushes great value for money, but they’re also eco-friendly and completely cruelty free. If you haven’t tried them before then definitely use your Love Me Beauty credits to try out one of their kits below, you won’t be disappointed. This set has everything you need for applying your makeup this summer and includes a Concealer Brush, Eye Shading Brush, Angled Liner Brush, Lash & Brow Groomer and a Blush Brush. Plus it comes with the cute pouch. Perfect for touching up your makeup throughout the day, this set includes the Angled Face Brush, Pointed Concealer Brush, Highlighting Fan Brush, Eye Shadow Brush and a Lip/Liner Brush. Plus the pouch. Ideal for applying your eye makeup, this set includes the Large Eye Brush, Angled Crease Brush, Petite Eye Shading Brush, Smudge Brush and Ultra Fine Liner Brush. And of course the pouch. Perfect for when you’re away, this collection includes the Complexion Blending Brush, Shadow Smudge Brush, Angled Liner Brush and Powder/Blush Brush. And the cute pouch to keep your brushes in. This is the perfect product to use when you’ve been in the sun. It enhances the look of your tan and blurs out any imperfections while adding a subtle shimmer to your skin. Another great product to use whether you’re about to head into the sun, or have just spent the day out in the sunshine. This shower oil leaves your skin feeling refreshed and moisturised. Another summer must have. This travel-friendly beauty balm can soften, nourish and treat all types of dry, sore, cracked, sensitive or itchy skin. *Editor’s Note* I LOVE this stuff and it’s really saved my lips on so many occasions…it lasts forever too! To help your makeup look it’s best throughout the hot summer days and long summer nights, you need to look after your skin first. Which is where this serum comes in. It gives you instantly smoother and firmer feeling skin – the perfect base for your makeup. If you love receiving beauty boxes each month, but want more of a personalised subscription service, then this is the beauty box for you. The Boutique centres around all things beauty and showcases brands we all love, plus some new discoveries. Whether you love makeup, skincare, nail polish or a little bit of everything, Love Me Beauty have you covered with their selection of seasonal treats. 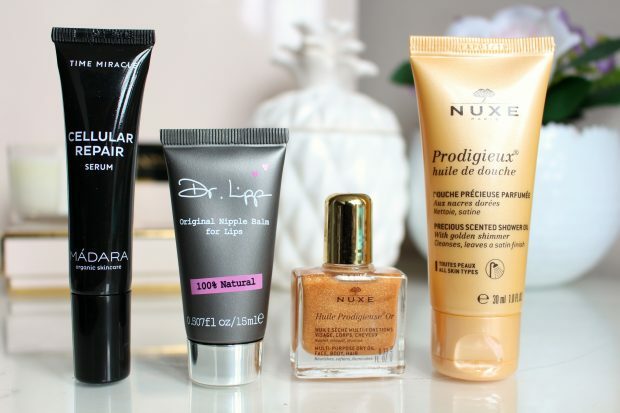 Plus there’s a great balance of full sized and travel sized products so you can try out a brand you’ve heard a lot about of discover something completely new. Sign up for the next Love Me Beauty Box for just £10 – and get 20% off by using the code xameliax20!